If it works, leave it be. Dobbe distillery is located in the heart of the Cognac region, more specifically in Salignac-sur-Charente. It was established sometime around 1787, when the family’s ancestors acquired a few acres of vines. With time and many harvests passing by, their passion for wine grew and so did their skills for producing Cognac. The distillery is still a family owned operation; the tradition kept intact all these years – 7 generations in fact – and it can not be overseen in their expressions. Their estate extends mainly over the Petite Champagne area, one of the largest and most distinguished cru (areas) in the region of Cognac. 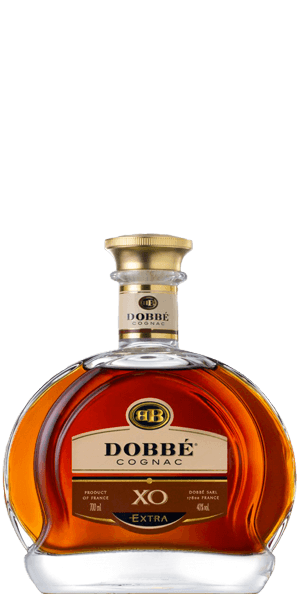 The Dobbe XO Cognac is matured in oak barrels for at least six years, although we suspect it to be aged for much longer. What does Dobbe Cognac XO taste like? The Flavor Spiral™ shows the most common flavors that you'll taste in Dobbe Cognac XO and gives you a chance to have a taste of it before actually tasting it. Aromatic bombshell with notes of cloves, oak moss, walnut and candied fruit. Velvety flavour with notes of orange and jasmine that takes your palate to heaven. Well developed Rancio. Elegant and long lasting finish that leaves you craving for more.